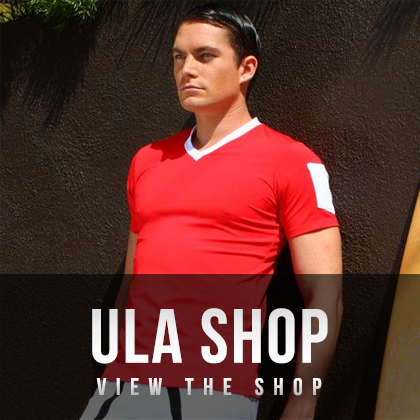 ULA may collect personal information from you through certain website activities, including, but not limited to, registering as a user, making a product purchase, completing a personal profile, providing feedback to ULA, responding to a consumer survey, requesting further information or assistance from ULA, or participating in consumer contests, sweepstakes or other promotional activities offered on the website. ULA may collect information that may not be considered personal information, including, but not limited to, frequency of your visits to the website, or the route by which you access out website, which information shall be used as part of aggregate data for various purposes, such as analysis for trends, statistics, development of website features and offerings and analysis and evaluation for marketing initiatives. This type of information is gathered by certain tools and methods such as collection of your IP address or the use of “cookies.” “Cookies” are utilized through websites to maintain a record of your visits to the website and is a small text file that is transferred by a web server and stored on your computer’s hard drive. It can only be read by the server that sent it to you, does not identify you personally, and helps to improve the website and deliver more personalized service to you. Most web browsers automatically accept “cookies,” but if you prefer to prevent your computer from accepting ULA’s “cookies,” you may follow your internet browser’s instructions to do so, but please be advised that if you disable these “cookies,” you may not be able to access certain sections of the website. To prevent unauthorized access or disclosure, maintain data accuracy and facilitate appropriate use of your personal information, ULA endeavors and uses physical, technical and administrative procedures in its best efforts to protect it from loss, unauthorized access, modification, disclosure or other misuse. Unfortunately, internet transmissions are never completely secure from disclosure or immune from “hacking” or unauthorized access, and you understand that any messages or information you send through the website has the possibility of being read or intercepted by others. You may contact ULA if you have further questions about the security of your personal information. Also, certain sections of the website that may ask for your personal information or opinion that clearly state such information are not confidential and can be available for public viewing, such as your submissions to blogs, testimonials, or response to an ULAMens.com survey. By submitting information through these means, you are consenting to such publication by ULA or its service providers or agents. ULA may use your personal information internally, separately or in combination with pre-existing information as follows: develop, enhance, market, sell or otherwise provide information, products or services; establish and conduct commercial relationships, such as processing purchases through the website; conduct or administer contests, sweepstakes or other promotional events inviting your participation; contact you or respond to any communication you may have with ULA; troubleshoot problems with the website; customize your experience on the website; engage in business transactions; detect and protect ULA and/or other related third parties against errors, negligence, breach of contract, fraud, theft or other illegal activities, and compliance with ULA’s policies, terms and conditions and contractual obligations’ as permitted by or to comply with any legal or regulatory requirements; or for any other purpose to which you consent. ULA may disclose your personal information to its affiliates and independent third parties whom ULA hires to provide services on ULA’s behalf, including, but not limited to, support services, website services, and delivery of promotional or marketing activities and events. Such third parties will only be provided with necessary personal information to deliver the services to ULA. In the event that ULA is involved in a business transaction, including the acquisition, disposal, securitization or financing involving ULA, you consent to your personal information that has been collected by ULA being transferred in connection with such transaction. You further consent to the disclosure of your personal information by ULA to legal, financial, insurance or other advisors in connection with such business transaction or as part of ULA’s business operations, or as otherwise permitted by law. Your personal information will never be disclosed to any outside third party without prior permission and authorization from you. ULA does not collect your personal information unless you choose to provide it. 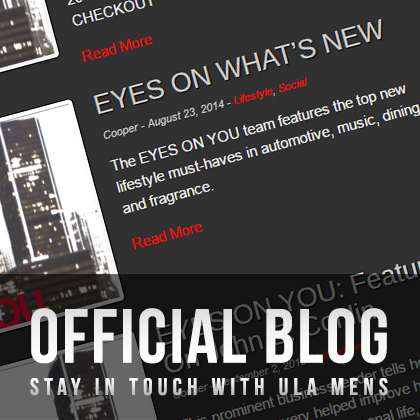 If, at any time, you prefer not to receive further communications from ULA, you will have the ability to unsubscribe from such communications by means of a link provided in every broadcast email that is sent to you by ULA, or you may write or email ULA and request to unsubscribe from any further ULA communications. ULA endeavors to ensure that your personal information it holds is accurate, complete and up to date. Upon your written request, subject to certain exceptions, ULA will inform you of the existence, use and disclosure or your personal information and give you access to same. If you have any questions or wish to correct or update your personal information held by ULA, you may contact ULA, in writing, to do so, and ULA will take all reasonable steps to answer your inquiries, correct or update your personal information so that it is accurate, complete and up to date.